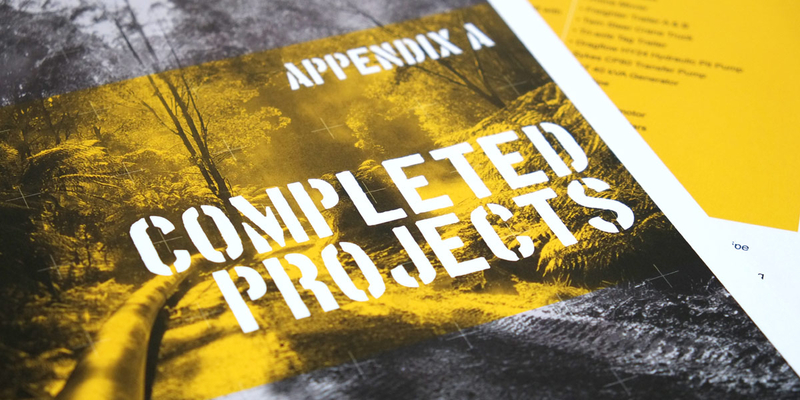 Q: How can we build better new business proposals? 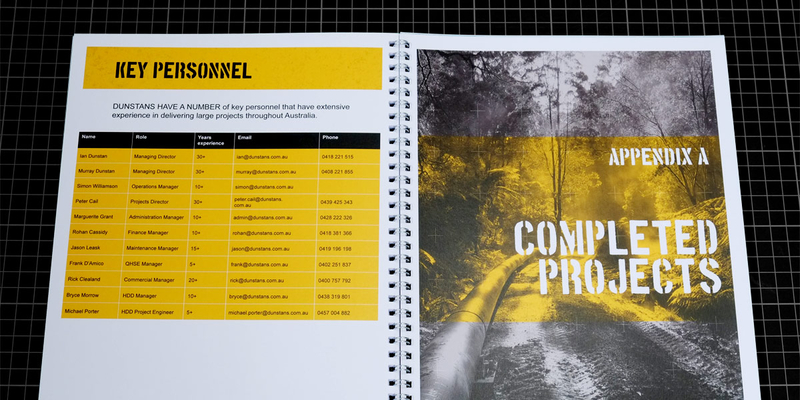 Angle: Create a real expression of interest. 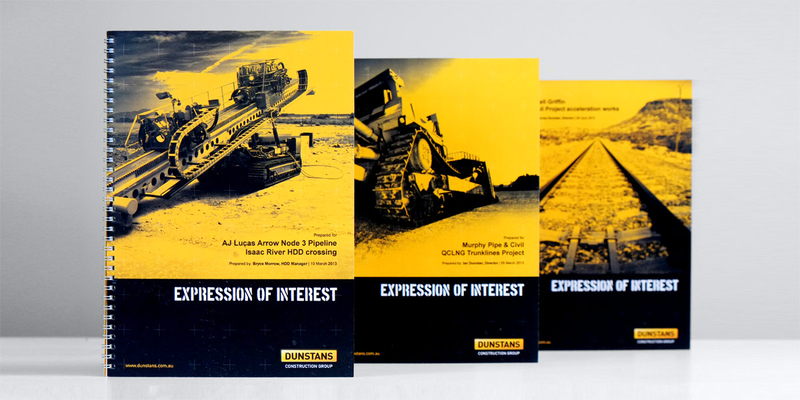 Dunstans Construction Group regularly need to produce new business proposals and submit Expressions of Interest as part of their detailed tender process for large scale construction projects. 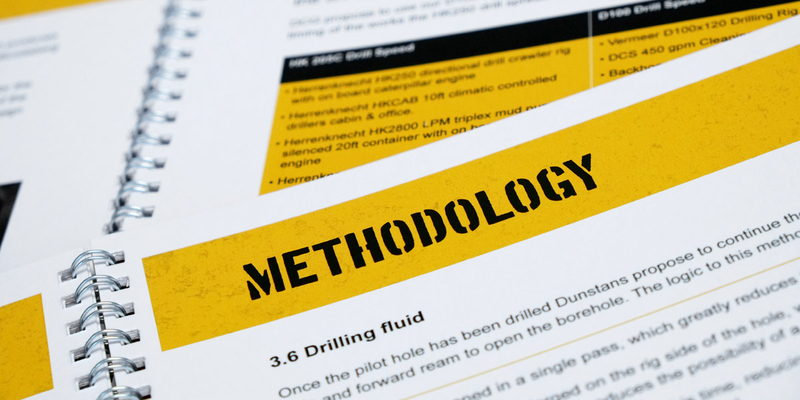 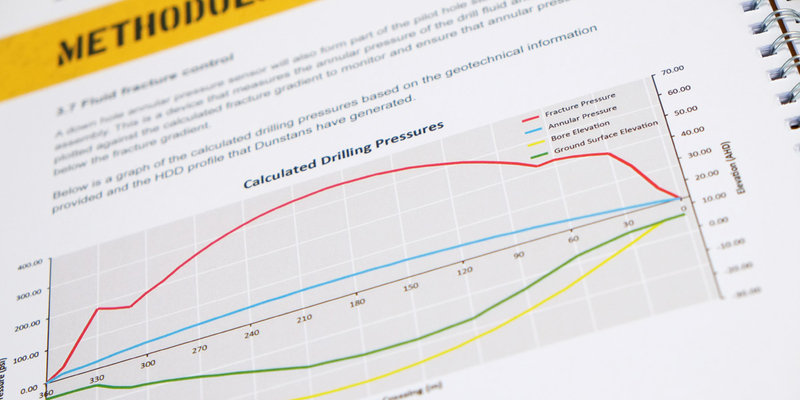 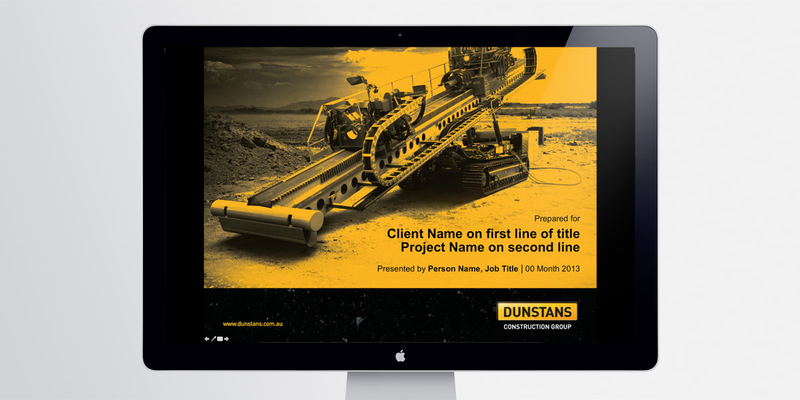 Angle analysed their digital and print needs and recommended a templated approach that took into account multiple types of content and allowed Dunstans staff the flexibility to build professional presentations. 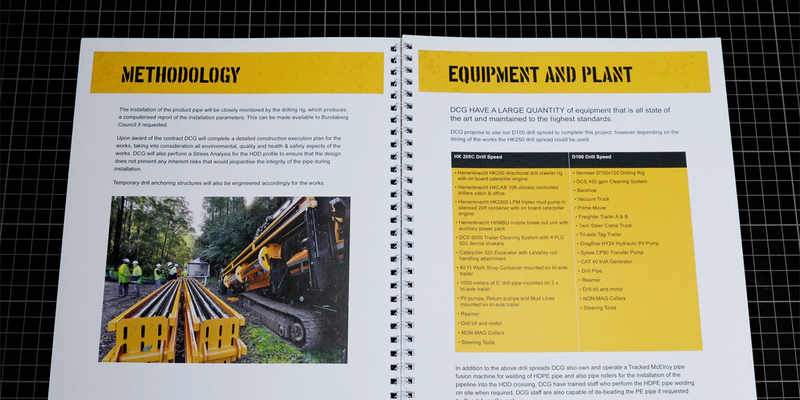 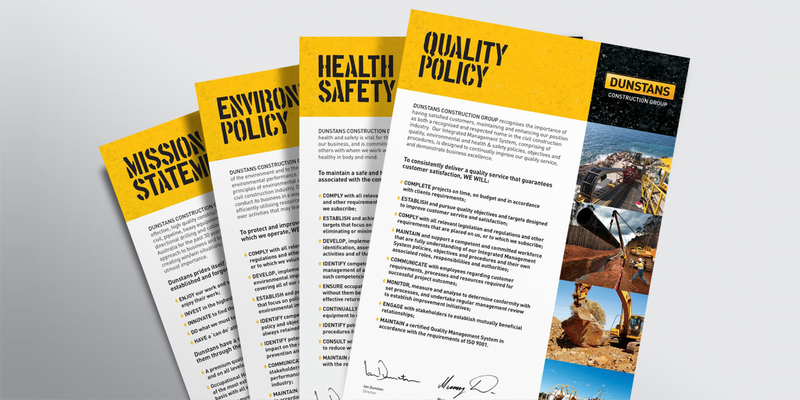 The final system includes a range of cover designs, multiple tender document page types, allows for integration of newly designed staff CVs, Policy Statements, Equipment Specification Sheets, Project Case Studies, Appendices, Tables, Diagrams, and Photography. 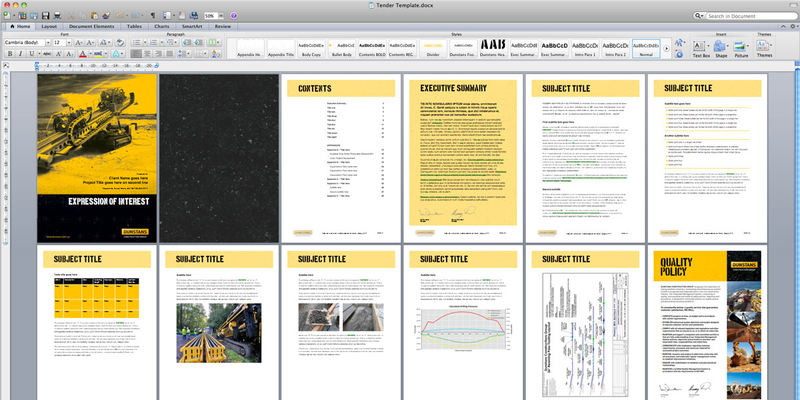 And there’s a matching PowerPoint version too.